Specials in session from 23rd May 1979, clearly the Peel Sessions, but a different faster version of "Too Much Too Young" than on the vinyl. Interesting. I see they changed the running order from the original session too. 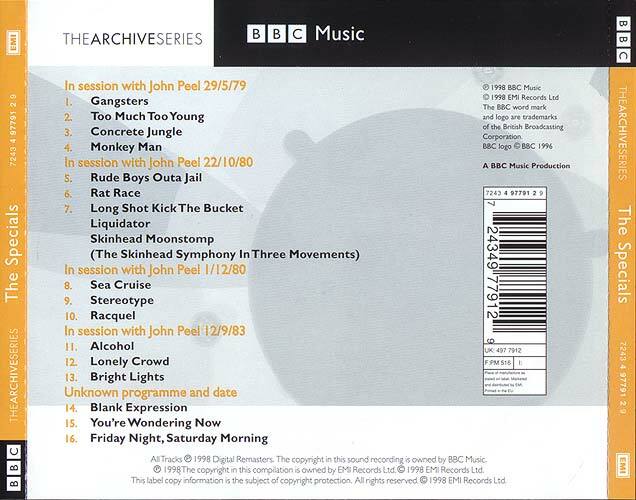 Original broadcast complete with John Peel banter.